Last week we talked about how researchers have successfully contrived living cyanobacteria-based bio-solar panels that can harvest tiny bits of electricity. Well, this time around, we have come across a design based on the same principle of photosynthesis, albeit with a more visual flair. 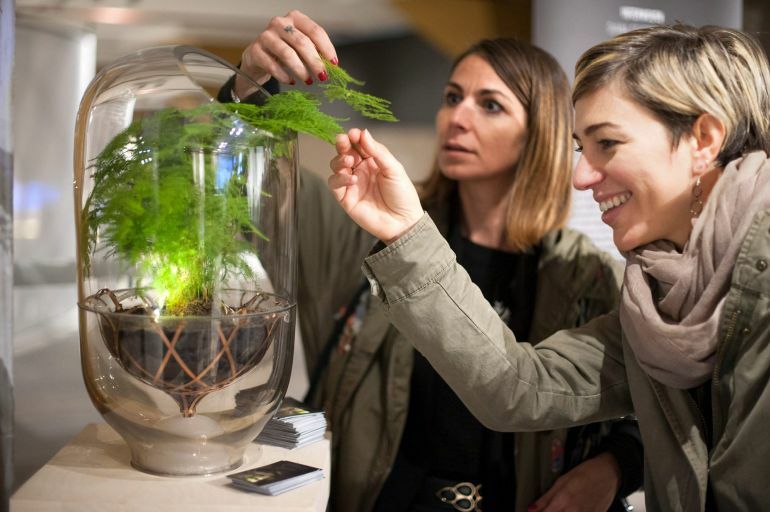 To that end, Dutch designer Ermi van Oers has crafted (in collaboration with research group Plant-e) an actual working lamp that is entirely powered by a living plant. Aptly, and rather unpretentiously, named as the Living Light, the core mechanism is fueled by the microorganisms that aid in converting the chemical energy (biologically produced by the plant during photosynthesis) into usable electric current. In other words, it is designed as a self-sufficient unit that can function off-grid, as opposed to the requirement of an adjacent electrical socket. 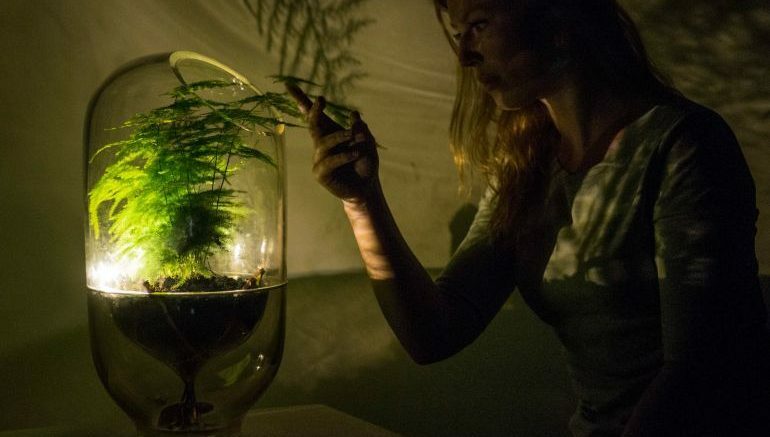 Delving into a bit of detail, the Living Light comprises a plant with its soil chamber encased in glass. Now during photosynthesis, the plant releases its organic compound into the soil. This organic matter, in turn, is synthesized by the bacteria stimulated by a microbial fuel cell – thus essentially replicating similar bacterial interactions found in the natural environment. This leads to the creation of electrons, which are then transported away from the soil chamber. 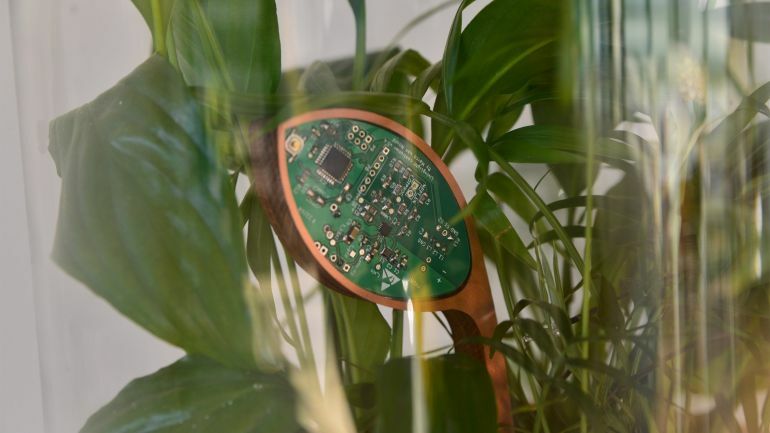 I hope we come to a point where every plant pot is provided with this technology, and we don’t know any better than that plants are part of our energy system. Nature will get a higher economical value and we will start making more green places so that biodiversity can flourish, while lowering greenhouse gas emissions at the same time. Now, of course, all of these notions are entirely hypothetical, with the technology itself being limited by its nascent stage of development. When translated to practicality, the Living Light can take a whole day to produce enough energy for half an hour’s charge, in spite of the daily cycle of photosynthesis. On the other hand, we must admit that the microbial energy ambit is indeed a fascinating one with its ingrained advantage of sustainability. And following up on this ‘baby step’, the designer is actually looking forth to design 50 such lamps by early next year. 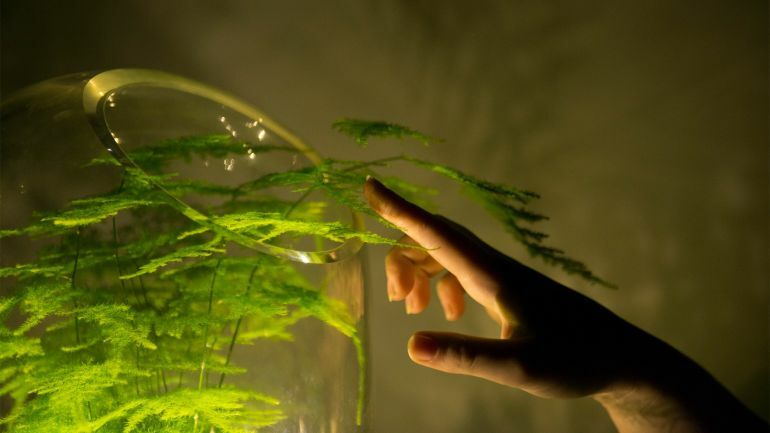 2 Comments on "Living Light: An LED lamp entirely powered by an organic living plant"